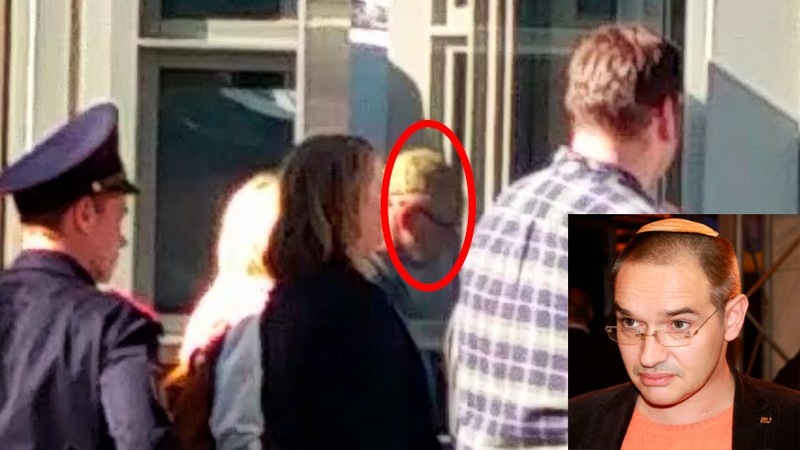 On May 20 a closed meeting was held between John Tefft and the Russian bloggers at the U.S. Embassy. It is known that it was visited by Russian opposition blogger Anton “dolbоeb” Nosik. Details of the meeting are still unknown. The meeting was held after the consultation of U.S. Ambassador to Russia John Tefft with U.S. Assistant Secretary of State, Victoria Nuland. It was held during her visit to Moscow. During her working trip Nuland together with Tefft made two unofficial visits. On May 17 they visited a Museum of Modern Art “Garage”, where they met with its curator American Keith Foley, as well as with Museum Director Anton Belov [see more about the museum below]. On May 18, Nuland together with Tefft visited the head of the Moscow Helsinki Group, a U.S. citizen Lyudmila Alekseeva. They discussed the situation with human rights defenders in Russia, the “anti-American propaganda” in the media, as well as the prospects of the release of the Ukranian fighter pilot Nadezhda Savchenko. The meeting was held tete-a-tete. According to the statement of Alekseeva, she told Nuland and Tefft that human rights defenders in Russia face a number of challenges, especially in the regions. Alekseeva noted that the activities of human rights defenders in our country is restricted to the status of “foreign agents” (a”foreign agent” is subject to the control of the Justice Ministry, and is prohibited from financing election campaigns in Russia). Also Alekseeva complained that she did not see any prospects of the release of Nadezhda Savchenko. In turn, Nuland expressed her sympathy, explaining that she could not officially interfere on behalf of human rights organizations. According to the American guest, it can have a negative impact on the welfare of the latter. Note also that contrary to the statements of the US State Department about Nuland’s intention to meet with a number of Russian human rights defenders, Nuland only visited Alexeeva. The”Garage” museum’s motto is “A place where people meet to create history.” It appears to represent a forepost of Western culture in Russia. The Russian “About” section on museum’s website is different from the English one. It says: “Founded in 2008 by Darya Zhukova [the partner of Russian oligarch Roman Abramovich, also a sponsor of the museum – KR], “Garage” is an independent cultural platform for the development of a new mindset (mentality, Rus: мышлениe) through exhibit, educational and scientific activities. The key direction of Museum’s activities is introducing to the Russian audience the leading exhibits of the modern global art, and scientific-research. Also “Garage” helps integrate Russian artists into the international community, provides grants for young artists, conducts educational and publishing activities, conducts development and implementation of innovative methods of children’s and family education.” In June 2015 “Garage” will move into a new building on the territory of Gorky Park, built by the OMA firm (Office for Metropolitan Architecture) , headed by Rem Colhas. The building was originally built in 1968 for a restaurant “Seasons of the Year” , which will preserve elements of decor of the Soviet times. Thus Soviet modernism will become one of the main themes of the museum, which will be researched and discussed in various projects. The museum is the first project of the Fund of Art Development and Support of the “IRIS Foundation.” The Iris Foundation is an NGO, founded by Darya Zhukova in 2008. In the future the Iris Foundation plans to launch an Institute of Modern Art in Russia. At the club for moms at the “Garage”, “Mama’s place,”children can learn English and visit concerts which will aquaint them with Western classical music, among other art activities. Museum staff can advise parents on choice of schools by psychologists-members of the Russian branch of International association “Champs Freuden” who had practiced in France and Belgium. Among its research activities, the Museum has announced a creation of scientific department, launching a research program and creation of an archive of Russian art of the 20th century, focused on researching the Russian art for the period from the end of 1950’s until today. In September 2012, “Garage” acquired a library and an archive from the “Art projects” fund. Among the goals are future conferences and seminars evaluating the Russian art of this period. The education activities include a round table “A Battle for Modern Russian Art: Sociologists vs. Art Critics”, where an art critic from the paper “Kommersant” among others debates sociologists from the Moscow Higher School of Economics (which is known for promoting the Western economics model). Curiously, one of museum guides had studied international law. Museum discussions include such projects as “Feminism and Modern Art,”touching on a subject of feminist media strategies, motherhood and body issues” moderated by a feminist activist Micaela, an organiser of female art workshops “Kitchen.” Participants are offered to discuss excerpts from books such as Suzanne Lacy and Leslie Labowitz. Feminist Media Strategies for Political Performance // The Feminism and Visual Culture Reader. Ed. Amelia Jones. New York: Routledge, 201: 400–410 and Andrea Liss. The body in Question: Rethinking Motherhood, Alterity and Desire // New Feminist Criticism: Art, Identity, Action. Ed. Joanna Frueh, Cassandra L. Langer, Arlene Raven. New York: HarperCollins Publishers, 1994: 80–96. At first glance the museum may appear as an innocent project for promoting culture and art in Russia, but a visit by such a high profile guest as Victoria Nuland, finding the time in her busy schedule for this museum (and modern art is hardly at the top of an agenda of a typical Moscow visitor, interested in art), given her agenda and track record, warrant a careful look at the museum’s activities. If during the Cold War art has become a powerful tool in promotion of Western values and Western model, then why should we expect things to be any different today, when soft power methods have become only more sophisticated.